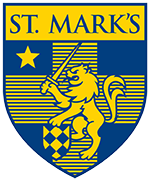 The St. Mark’s Lower School Library serves the students, faculty, and families of the St. Mark’s Lower School community. The library offers resources, both print and electronic, for academic research. In addition, the LS Library supports the widely varied interests of patrons for recreational reading. It is the mission of the Lower School Library staff to enable its patrons to become independent users of information, no matter where they are; to provide timely, accurate, and relevant materials; to instill a love of the quest for knowledge; and to promote a habit of life-long reading. The Cecil and Ida Green Library serves as the center for research, academic instruction, study, and recreational reading for the St. Mark's community. In an ever changing and technology-driven information environment, it is the mission of the Green Library staff to provide timely, accurate, and relevant information to the St. Mark's community; to instill a love of the quest for knowledge, conjoined with teaching efficient and effective information-seeking behaviors and requisite critical thinking skills. University of Illinois at Urbana-Champaign - B.S. University of WI-Eau Claire - B.S. Texas Woman's University - M.L.S.